I’m postponing the rather long post that I was working on today to answer questions from the most wonderful Mrs. PvE and Fairfax concerning the woman’s equivalent to the casual uniform for evening conundrum. I immediately sat down over my luncheon of a smoked salmon sandwich and a glass of pinot grigio to puzzle it out. Dipping in to the world of women’s clothing is a bit like wading in the ocean when you know that there is a riptide about. (“Beware the ‘undertoad’ ” used to send chills up a friend’s spine as a child who misinterpreted his parents’ warnings.) Up to your shins is fairly safe. At about the knees, things get tricky. So let’s start below the shins. 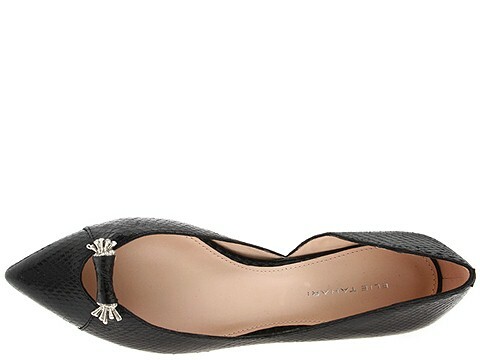 For casual day wear you can’t go wrong with a good pair of flats (nothing too gimicky, although I’m a sucker for those pointy toe numbers) or riding boots. I can’t speak for the quality of any of the brands below, but I like the looks of ’em. And now here we are knee deep in it. 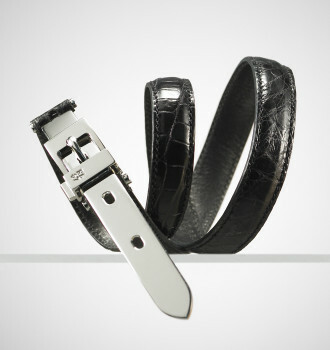 A great belt in an exotic skin (or embossed leather) will always be stylish. The perfect white shirt is always correct, very easy and very elegant when worn open necked and with multiple strands of pearls or your diamond solitaire. Mrs. B. should be able to advise you on the perfect one. Round things off with a classic bag. A Rickey style like Mr. Lauren’s, or a Kelly style. 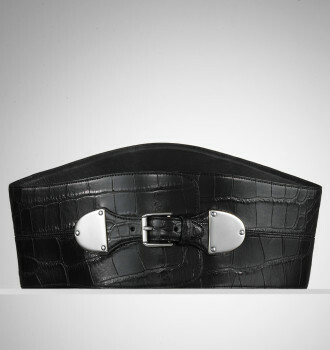 Regardless, something structured and in leather or exotic skin. Of course, you could just replicate my uniform, swapping out the trousers for a skirt or going with the wide leg Kate Hepburn look. That ahving been said the other day a young professional woman parked across the street and stepped out of her black Lexus convertible wearing black frame sunglasses, a black shirt dress with an a-line skirt, a wide black belt, black flats and carrying a Kelly bag. She stopped traffic. 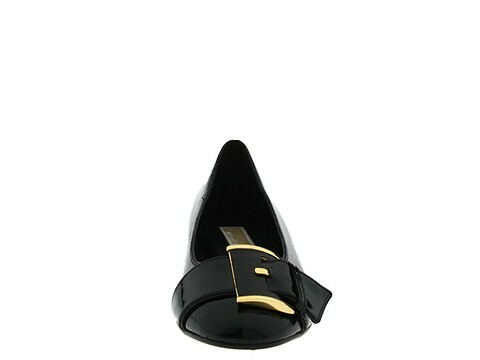 This entry was posted in Elegantology and tagged women's casual clothing. Bookmark the permalink. Phew. It looks like I am set. I have all of the above in both black and brown. 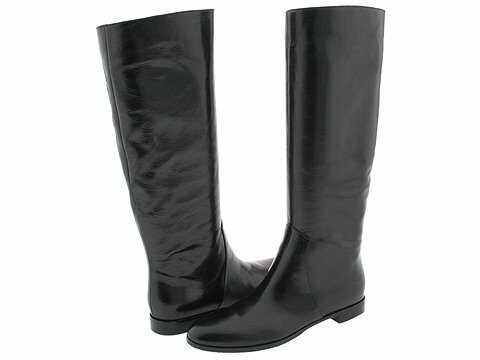 I do need a new black boot with a heel however. I do take issue with the jodpurs however. I’d like your opinion. Isn’t it a bit too costume-y unless one has just finished a brisk horseback ride? I’d also like your take on “footless opaque tights”. Yes or no? They take be back to the days of leggings….but under a sweater dress or shirt dress with a pair of flats? Thoughts? Where may I ask is the white shirt and pearls? Love everything and I do agree with Katiedid about the riding breeches, yet most male counterparts find intrigue. But then again, what women does not find a man handsome in an Aviator Bomber jacket ? I find that the light weight tasmanian wools suitable for most every season, a crisp white shirt, or a short sleeve crew to be very understated and easy to take. This is my entire wardrobe in a nutshell, plus the black tie/ball gown stuff. But, oh, for the better bag! Katie – as for the footless tight (or leggings, we know they’re leggings, right?) I was definitely against until the Sartorialist post a wonderful photo of a gal this week, full short skirt, footless tight, black sweater. Tempting. It also made me want to take my hair about four shades lighter and lose 15 pounds. But that is another story for another day. Chris – charming, and as always, spot on. Do jewelry sometime – have Mrs. E advise! Pretty much agree with the gals above. I think that the jodhpurs aren’t really practical or for city wear. Just FYI, I am wearing most of what you talk about – black cashmere sweater, flat kilim shoes, alligator belt (but with tailored khaki pants). It’s casual friday today at work, and i am doing a photo shoot at one of our sites. Hi Katiedid, OK the jodhpurs are a bit de trop. But I tend to wear things myself that others find a bit … whatever (neckerchiefs, for example.) Heck, if I had a clan, I’d break out the kilt on occasion. Or at least the tartan trousers. I think you’re right about the footless tights. 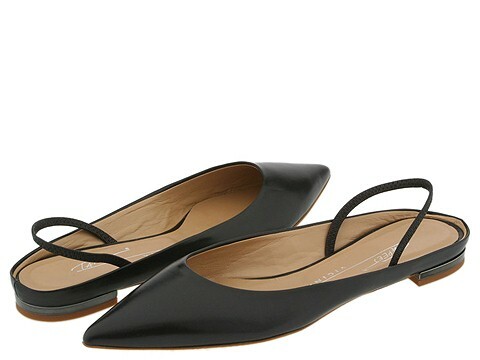 With flats and under something else, they may work. As with all clothing it is a question of proportion. Hi Mrs. PvE, I was very rushed yesterday and couldn’t find a photo of a perfect white shirt or the strand of pearls that didn’t look too Barbara Bush. Maybe I’ll raid Mrs. E.’s closet for the photo. The short sleeve sweater in tasmanian wool is a great idea. 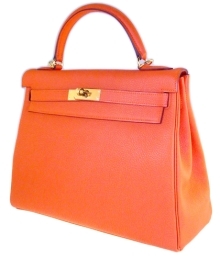 Lightweight and practical, it is still luxurious. Gunilla, hold out! Sandals are an elegant alternative to the flipflop! One more oversight, I think that a well-cut pair of cigarette pants in raw silk will always tread that razor’s edge of casually elegant. I think that you would have to have them made up, though, as I”m sure they are considered to be unfashionable. Thank you Mrs.B! A jewelry post would be stretching my limits, but I’m willing to try. I often think about what pieces my daughter should have to take to college. Fourteen years to get that straight, though. A great list, Elegant, and although I am a stiletto girl, I love your collection of flats, and of course, the riding boots. Have also been living in footless opague tights with shorter skirts and sweater dresses these Autumn days, and would agree that nothing completes an outfit better than a beautiful, high-quality handbag. I enjoyed reading “Her Casual Uniform.” May I make a few additional suggestions–first, if a woman is married, her wedding band must be an elegant requirement to both casual and formal wear. Never leave home without it. It says you care about something other than your clothes. 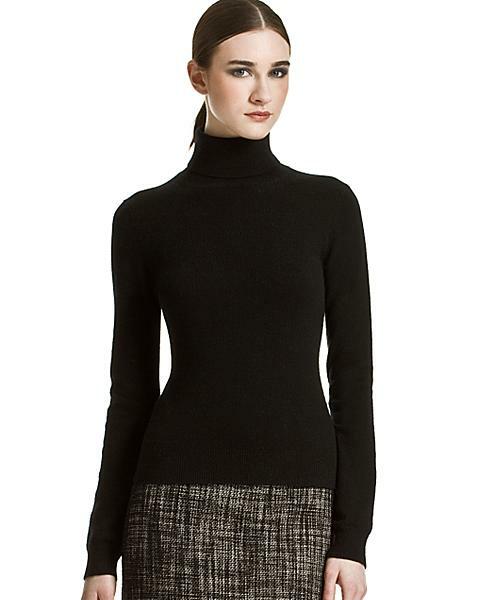 Second, since I live in a four seasons climate, I consider a cashmere turtleneck sweater an absolute must for Her Casual Uniform. Better than black are shades of grey–charcoal, flannel, heather . . .
My next suggestion is for a white Hanro cami under everything. And they are perfect to sleep in when travelling. My last suggestion is for gloves! They are the most wonderful accessory (and necessity) for both casual and formal wear–I own pairs that are knit (cashmere), leather (both lined and unlined for driving), suede with shearling lining, supple leather with bows at the wrist, satin gloves for formal, wrist length gloves, mid-length gloves, and now many over-the-elbow gloves have become more available (check out Loro Piana for gorgeous cashmere long gloves). Gloves differentiate girls from young ladies and women from ladies. They add polish to everything. Hello Paula, excellent suggestions all. I am a very big fan of shades of grey. The majority of my wardrobe is made up of grey and blue, as I believe the case to be with most men. I recommend black as I started out writing about what might be called semi-formal evening wear and sort of got sidetracked. Easy for me to do. I’ve often wondered about the Hanro undergarment compared with the Zimmerelli, or Sunspel, for example. Nice to have an endorsement. As for gloves… absolutely. I am a fan of brown gloves (must have “murderer’s fingers,” though) and yellow gloves as well. TIG, stilettos are always stylish!